Netflix is an ocean of video content wherein it is pretty easy to miss the gems. Many hidden hacks for Netflix let you surpass barriers and watch excellent content. Even though video-streaming service has a got a list of categories to help users sort through all the content, but the limited categories under “Genre” tab do not have it all. Due to all the limitations, users are mostly unable to find what they are looking for. The hidden list of categories solves all the searching problem as it contains every genre that you can think of. From Sci-Fi to B-Horror Movies, you get to explore everything aboard. To access this list, all you have to know is Codes. Each category comes with a dedicated code that directly redirects you to the page containing related videos. There are two ways to access this list – Manual and Chrome Extension. With the Manual method, you can use this trick on any browser, just save the codes in your notes and enter it at the end of URL. While the other method only works for Chrome and it can save a lot of time by saving you from the extra drill of inserting the code manually. Anyway, we will teach you both the methods, and it is entirely your pick to use whichever you want. The hashtags are the spaces for code. Now select any code from the list of genre given below. Insert the code in the place of hashtags (for example – 9302 is the code for Anime Comedies) and hit enter. Voila! you will be redirected to the page you’re looking for on Netflix. 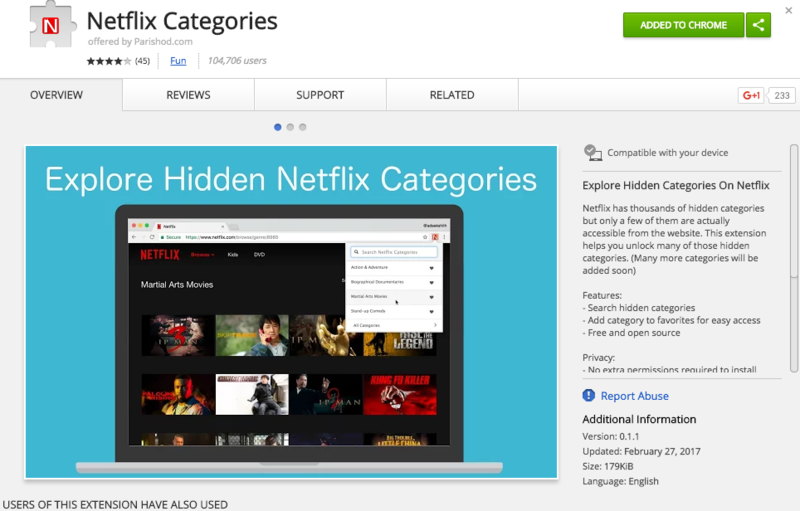 Chrome Extension is the easiest method to access Netflix categories without entering manual codes. Here is what you have to do for getting it on Chrome. Netflix comes with restrictions based on your location. For example, users in India won’t be able to access all the shows and movies that are currently streaming on Netflix US. Through smart DNS routing techniques, you can break the barrier and access all the fantastic shows that are entertaining the viewers in the United States. To get this privilege, you just need one genie – Getflix. Getflix masks your IP address and gives you unlimited access to Netflix content, regardless of your current location. However, luxury never comes free, and you must be ready to shell a few bucks for this service ($4.95 per month). Before paying up-front for the service, you can take a 14-day free trial, and after that, you will have to pick a subscription pack. The best part is that you don’t have to enter your Credit Card details to enjoy the trial, you get it just by signing up on the website. Note: Netflix has recently started putting geoblocking off the chart. There are fair chances that it puts a barrier for services like Getflix, so it is only smart to check out the service thoroughly. Netflix is a multi-user service, which means your entire family is on it and they can access your viewing history. However, history on the internet is intended to be deleted, right? 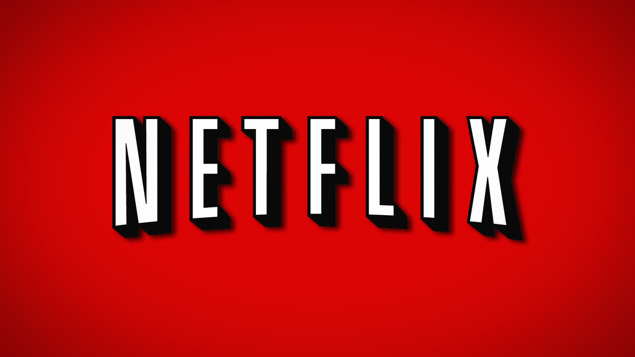 Yes, you can get rid of your viewing history on Netflix too. You can also pick the items you want to delete instead of wiping out the entire history. Just click on “X” mark to delete it and you’re done!